Every year since 1981 The Joe Loss Orchestra have entertained for our cause. This came about through Lesley Ann Roberts, a former student, who sang with the Orchestra in the 1980s. The Orchestra that Joe formed is over 80 years old. Before he died, Joe passed on the leadership of the talented group of musicians to Todd Miller. 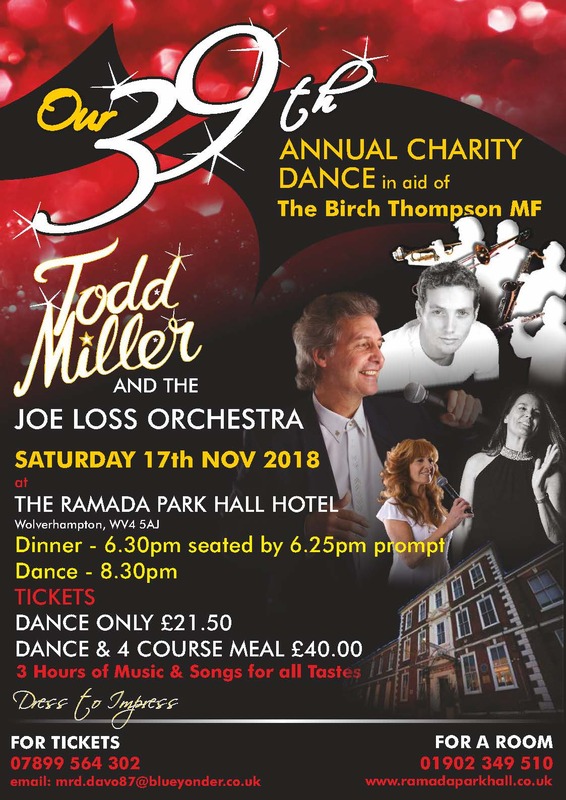 For over 20 years Todd has led the group and for over 30 years they have entertained supporters of the Birch Thompson Memorial Fund at our fundraising event. We have had many satisfied customers during this time so we will be having our 39th Dinner Dance at the Ramada Park Hall Hotel on Saturday 17th November 2018. Once again we have our guest singer Lesley Ann as part of three hours of live, high quality music to dance or shuffle to ! The music played by the Orchestra spans the generations and includes most well-known dances with a great section on music that everyone can dance to from the last couple of decades. Some people come and just listen to the great big band sound in this superb ballroom setting while others like to take to the floor as much as they can, dancing the night away. We are fortunate to have Lesley Ann again as she is a former student of Colton Hills who sang with the Orchestra for eight years, including entertaining at Buckingham Palace, Windsor Castle and the QE2. Lesley was the link that enabled us to start these events in 1981. Todd has now been with the Orchestra for 46 years and his interaction with the crowd is a feature of the entertainment. 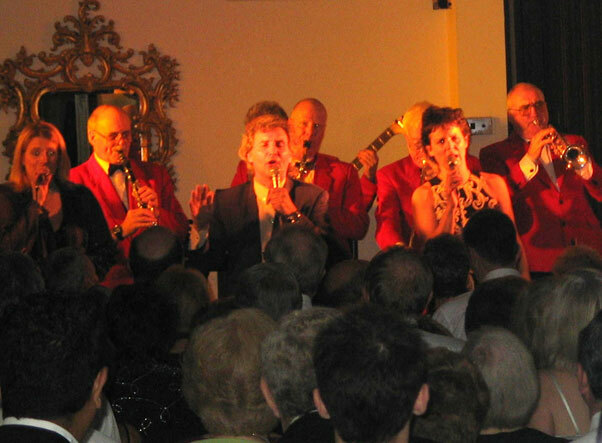 He always welcomes requests and they are usually met from the vast repertoire performed over the decades. Why not celebrate a special birthday by having a world famous orchestra playing your tunes, or dance and jive as a reunion party? 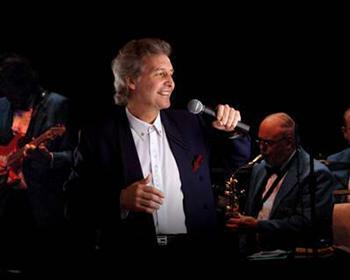 Todd Miller and the Joe Loss Orchestra with their singing stars always entertain – that is why a formula started in 1932 has endured. All the proceeds go to Gelliwig that has been used continuously since the official opening on 11th November 1989. We hope to see you there! To purchase tickets for this year’s event please email or write to our Treasurer Paula Davies and for telephone enquiries please contact Keith Berry. Return to Top Hosting kindly provided on a Memset® dedicated server.